Continuing our mini-series on “reading a nutrition label,” let’s talk about sodium. What’s the difference between salt and sodium? Salt is partly made of the element Sodium. Break out your periodic tables people! 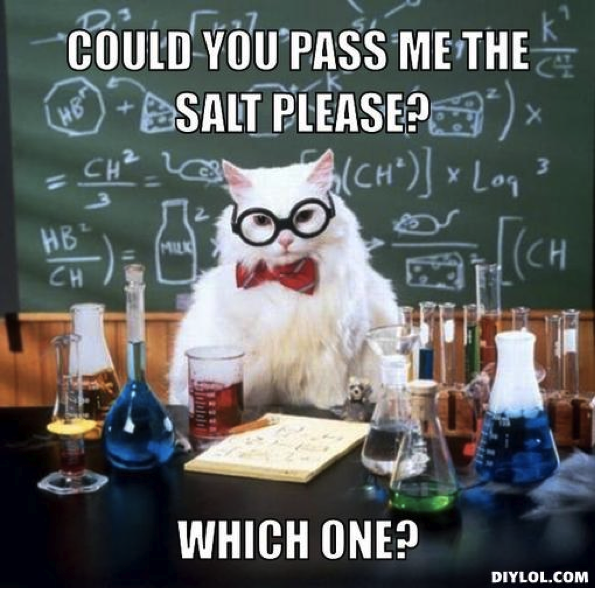 Table salt (NaCl) is a combination of Chloride (60%) and Sodium (40%). Sodium is also found in lots of other food products like baking soda (sodium bicarbonate) and sodium nitrate (used in preserving processed meats). When people talk about salt being bad for you, they are referring to the sodium that is in it. What exactly does salt do, beside taste good? It helps you maintain balance of your natural body fluids, helps transmit nerve impulses, and influences contraction and relaxation of muscles. So what’s so bad about salt? Kidneys play a key part in storing sodium; if your sodium levels are low in your body, your kidneys will store it. If there is too much sodium in your body, your kidneys will get rid of it through urine. However, if there is too much sodium in your body that your kidneys can’t get rid of, the sodium will move to your blood stream, absorb water and increases your blood volume. Remember turning on the hose as a kid and holding it so the pressure builds up so you can blast your friend with water? That’s similar to what happens in your veins and arteries. Pressure increases, making your heart work harder which can over time lead to bigger problems like heart disease, stroke, kidney disease and congestive heart failure. Check out the MayoClinic for more information. 1. Sea salt has less sodium than regular table salt and is healthier. FALSE! 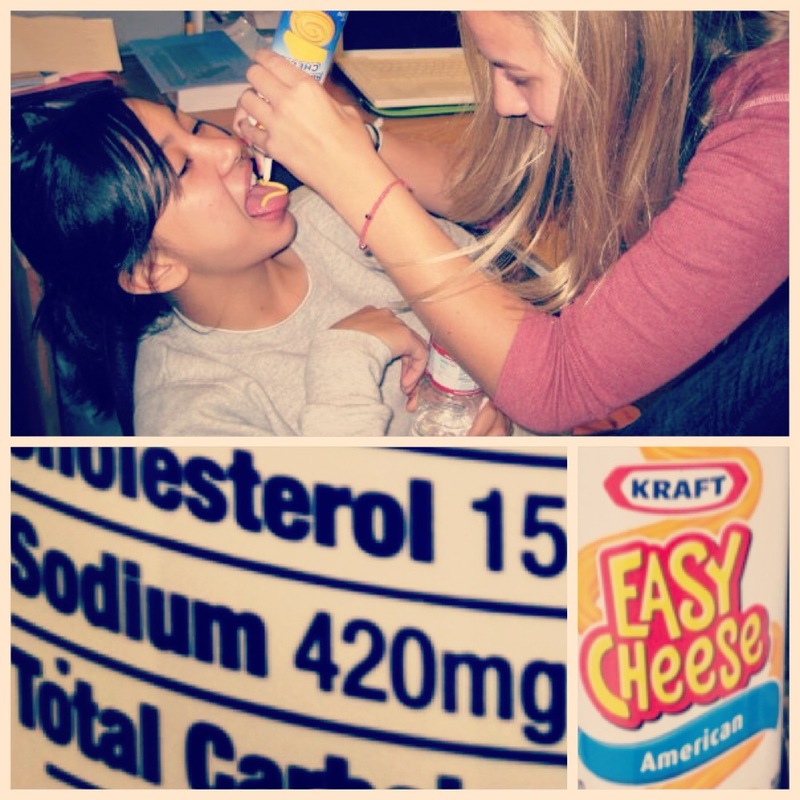 Both contain about 40% sodium. The only difference is that sea salt is less processed so there are more nutrients like magnesium and calcium intact, but these are in pretty neglible amounts so don’t think you can get your daily recommendation of calcium by eating more sea salt. 2. There is a nationwide initiative to lower sodium content in foods. TRUE! The National Salt Reduction Initiative is partnering state and city governments with food companies to decrease sodium in their foods by 25% by 2014. 3. A nutrition label for a can of soup has 140 milligrams of sodium per serving and there are 4 servings in the can. This is a low sodium food. TRUE AND FALSE! If you only have 1 serving, which is 140mg then yes it is low sodium. However if you eat the whole can which has 4 servings, you are consuming 560mg, almost half of the recommended daily allowance! To learn more about ways to reduce your sodium consumption, check out the American Heart Association and Harvard School of Public Health. And if you haven’t already, check out Part I and Part II of the “reading a nutrition label” series!